Does this sound too good to be true? Well, let's bring in the good news: there is one radio station that actually does all this stuff! A 'Yes' station. At least, that's how I experience it. The name is Hayhouse® radio - Radio for your soul. It's free and you can listen to it where and whenever you want. I think it's such a refreshing, brilliant idea and a bright shining star compared to the stations who send out fear-based messages. So I'm happily sharing it with you. How would a radio station be able to help me? It's at these moments that I take the last single drop of inspiration to consciously tell my hand to reach out to my phone, click on the Hayhouse® radio app and listen. Soon, my mood changes. Listening to all the people calling in with questions makes me happy. Let me explain why, before you assume it is because my Ego is having it's own party: 'yes, they feel even more bad than me, now I feel gooood!' The reason I feel happy again, is because it re-awakens my passion to help people when I am confronted with so many callers still looking for happiness in their lives. It can give you new insights that help you deal with your current challenges. Every show provides free tips/learnings, like stress-relief, self-healing alternatives to physical problems and other ways to balance your energy. It can help you stay motivated to live your dream. Because of the positive and supporting messages on the radio station, it can help your shift your thoughts and uplift your energy. It can help you stay motivated as a health care professional. Almost every show offers listeners the opportunity to call in and ask a question. It can help you remember why you started your business. Who's there to support you? Sometimes old shows are rebroadcasted and you might come across a Louise Hay show for example. For a complete list of the hosts that have a weekly program, click here. So whether you're looking for stress relief, want more alternative options for physical problems or you would like to learn more about angels and tarot, download the Iphone or Adroid app or go to www.hayhouseradio.com . I hope it will motivate, inspire and support you as much as it did/does for me. Have a nice weekend! 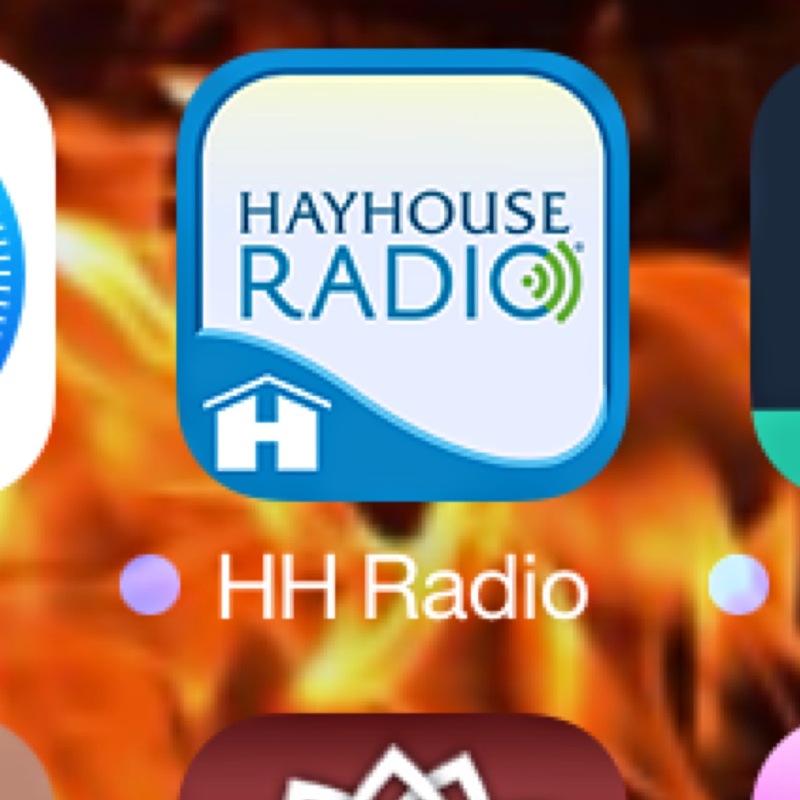 Did one of the programs of Hayhouse® radio already support you? Or do you know any other radio station that supports you in living your dream or teaches you valuable life lessons? Leave a message below, I'll always answer. Thanks for sharing! * note: this whole article is my personal opinion and experience with Hayhouse® radio only, written to support you. Please keep in mind that there's no quote from Hayhouse® in it and no rights can be derived from this article. Let´s take 10 strangers, a bunch of cards and a library. Can you see the similarities? Let me help you out: They were all part of my 'I live my dream' mission today, which started at my most magical place: my heart. Please, let me share my story with you. Don't have time to read everything? Just scroll down for the conclusions. Lots of love! The memory popped up... Once I arrived in the library last year, I had taken the cards out, put them back after a second and told the angels: 'Listen, I'm very sorry, but I can't do this. I'm too scared. What will others think about me? And what if the library employees will find out?' So I had gone home continuously convincing myself with a 'what-an-original-idea-but-not-me' thought, and trying to forget about it as soon as possible. Being scared = ego trying to control = don´t listen, take action! Determined to live my dream, help others and share this message of love that was on the cards, I walked back into the living room to the white book shelves and grabbed a handful of cards. The first step was a fact. The angels asked me to share this message. Today, I'm sharing it with you. You are allowed to be. Imagining the reader opening a book and being surprised by seeing a card, I started writing. Soon, my heart energy became stronger and the further I got, the bigger the smile on my face. Yes, it could be that the person opening the book wouldn't like angels. It could be that the person felt embarrassed being in the library and reading it, given the emotions these words usually trigger (have had people crying while reading, hugging me, smiling). But hey, no-one would be able to ignore that it was all written from the heart, having had the intention of sharing love. ...With supersonic fastness I opened the book, put a card in it and turned to the next page to make my action invisible for possible prying eyes. Supposedly nonchalant, I put the book back on the shelve. Supposedly... Inside me there was this 'I-did-it-even-though-it-was-frightening!' storm going on. My brain was reconstructing the last minutes over and over, convincing itself that it had really happened. And my heart was jumping up and down as if it had just won the Olympic Games. With a big smile and 9 cards in my hand, I turned around and silently left the shelve behind me. The latest victory still on top of my mind, I felt confident. And I had to admit that I actually was having a lot of fun (!) sneaking through the library with my little love letters. So I happily put another 8 cards in different books. 9 down, 1 to go. What to do with nr. 10? I was looking around, seeing some dedicated library employees which now appeared less scary to me. Maybe I could even make one of them happy... I looked at the shelve in front of me and smiled: I was standing before the category of Spirituality. And there was this perfect place for a card to be directly spotted by one of the employees. My hand reached out and put it right in front of my eye, side by side with some yogi wisdom. 10. Mission accomplished. I walked away, rewinding the tape: Yes, I had experienced anxiety. Yes, I had been wondering what others would think about it. And yes, I had been feeling insecure and vulnerable. But most important, I didn't let that stop me this time. Listening to the angels and acting upon their guidance, made me experience so many positive and valuable things. Take back your power. Don't let fear keep you from living your dream. By accepting your fear, seeing the power you allowed it to have and consciously making the decision to take it back, you will experience courage, inner peace and harmony. This will make it a lot easier to take action. Allow yourself to be. Turn your focus from 'what will others think about me' to 'how can I help others to experience love'. It will open up your heart and love will flow into places that once were filled with anxiety. Ask your angels to guide you and listen. You needn't go through your current situation alone. Your guardian angels are always with you. Also, you can ask various Archangels for a specific situation. Then, let go and wait for the answer. It can come to you as a thought, feeling, words you're hearing or something you just know. The guidance of the angels can help you to align with your life's purpose, to feel supported and loved. Which makes it much more likely for you to accomplish your dream. What challenging leap of faith did you take? What fears did you face and what have you done to get over it that has worked for you? I'd be happy to read your tips and probably other people would too. Please leave your comment below.